The smartphone world is abuzz with speculation over what the 2015 Nexus phones might look like, but it's worth taking a look back through time to remind ourselves of the full Nexus story. Innovation, big successes, notable failures, and much more besides have featured over the last five years — here's the story so far. The iPad was still a twinkle in Steve Jobs' eye when the Nexus One arrived. Made by HTC, it featured a 3.7-inch, 480x800 pixel screen, a 5-megapixel camera, Android 2.1 Eclair and a neat little scroll wheel on the front. At the time, it was one of the best phones out there in terms of display, performance and looks. It also marked the arrival of a new online store for Google and a more direct way of dealing with users - the Nexus One was available direct, unlocked and SIM-free, as today's Nexus is. "It's our way to raise the bar on what's possible when it comes to creating the best mobile experience for consumers," Andy Rubin, VP of Engineering at Google, said at the time. The Nexus One arrived at the start of 2010 and the Nexus S went on sale just before the end of the same year - this time the manufacturer was Samsung and the stock OS version was Android 2.3 Gingerbread. It wasn't a great leap forward in terms of specs, though the screen size grew to 4 inches. While it didn't quite have some of the bells and whistles of other handsets around at the time (there was no 720p video recording and - shock horror - no external SD card slot), the device still earned plenty of favourable reviews, and was another success for Google. Samsung was again the manufacturer partnering with Google for the 2011 Nexus smartphone, and the Galaxy Nexus (or Nexus 3) really was a bold leap forward in terms of hardware: it featured a whopping 4.6-inch 720x1280 pixel screen and internal specs that were very impressive for late 2011. The Nexus line is as much about the software as the hardware, and this phone gave us our first experience of Android 4.0 Ice Cream Sandwich, the first truly modern-looking version of Google's mobile OS. It would also mark the end of Samsung's dalliance with the Nexus program, as it changed tack to focus on its own set of flagships. The Nexus 4 marked the start of the Google-LG Nexus love-in, one that is set to continue this year if the rumours are to be believed. Hardware-wise, the camera got a bump at last to 8 megapixels and the device was used to launch Android 4.2 Jelly Bean into the world (which introduced expanded notifications and quick settings). The display got another slight upgrade, with the Nexus 4 sporting a 4.7-inch 768x1280 screen, and again the internal specs were very good for November 2012 (2GB of RAM was uncommon at this point). The affordable price was another major selling point picked up on by reviewers. Like its predecessor, the Nexus 5 was priced very competitively and manufactured by LG, and it only recently went off sale. Despite a few minor annoyances, it was widely praised by tech reviewers and consumers alike, and that success might be part of the reason that Google's reportedly looking to repeat the winning formula later this year. The Nexus 5 sported a 4.95-inch 1080x1920 screen and came with an 8-megapixel camera. The coloured LED notification light also helped to set it apart, as of course did the stock version of Android 4.4 KitKat, a major step forward for the mobile OS in terms of look and feel. And now we're right up to date with the most recent of Google's flagship smartphones, the Motorola-made Nexus 6 (remember Google owned Motorola for a while). Both the price and display size were upped significantly, and those factors combined with initial supply problems have meant the Nexus 6 hasn't taken off in the way that the Nexus 5 did. It's still a mightily impressive phone though: a 5.96-inch, 1440x2560 pixel screen, 3GB of RAM, a speedy Snapdragon 805 CPU and a 13-megapixel camera all add to the appeal. The Android 5.0 Lollipop is the icing on the cake, with its Material Design overhaul and polished set of features. 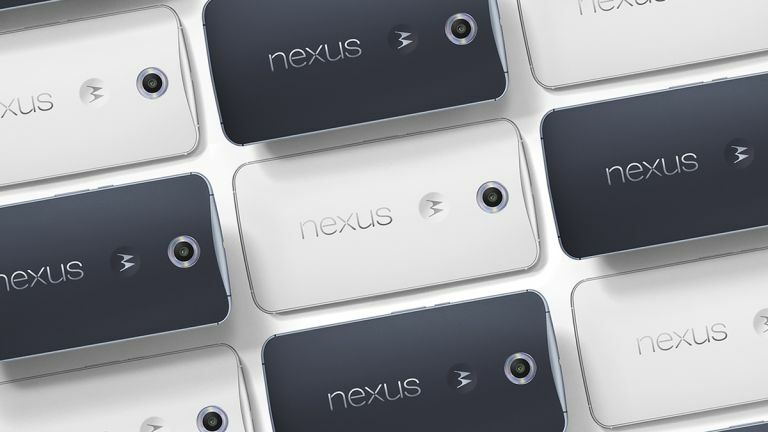 The Nexus tablets may not have made as many headlines as the smartphones, but they're still worth a mention. The Samsung-made Nexus 10 (2012) and the HTC-made Nexus 9 (2014) have both tried to take on the iPad without a lot of success, although assessed on their own the devices are decent bits of kit. It's the Nexus 7 where Google has found most success with the tablet format, so it's a shame the company seems to have forgotten about it. The 7-incher was launched in 2012 and got a substantial refresh in 2013, so we're holding out hope that we might see a new edition appear one day.